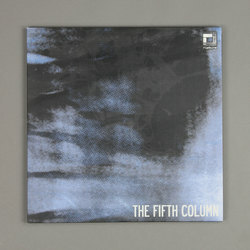 Various Artists - The Fifth Column. Vinyl LP. Bleep. Rupture LDN lay down the law with this 4 x LP set of blistering modern drum & bass mutations. Featuring a who's who of current (and good) drum & bass, they call on: Ahmad & Akinsa, Dead Man's Chest & Sknjob, Digital, Double O, Forest Drive West, Greenleaf, Gremlinz & Jesta, Mantra, Nucleus, Outer Heaven, Rumbleton, Seba ft Blackeye MC, Sully, Theory, The Untouchables, X Nation to shape the future of this sacred soundsystem genre. Already being rinsed by the likes of Paradox, Bailey, Loxy, DJ Storm, Pessimist and Om Unit, we can guarantee if you are stuck inside the scene you will be sure to recognise much of the tracks on offer, and for those looking for an entry point to modern amen break DNB, this is your golden ticket... Massively tipped!